When David was a toddler, he was a very picky eater. He loved four things…peanut butter, bread, cottage cheese, and dill pickles. It was very frustrating for me after having Rebecca who ate everything and was willing to try new foods, the more exotic the better. In an attempt to amp up his nutrition, I soaked broccoli in pickle juice and mixed wheat germ, a nutrient rich food, into cottage cheese and peanut butter. He gobbled down all of the foods I doctored this way. Now, knowing that he has celiac disease, I am appalled at myself for adding more wheat to his diet (although he didn’t develop symptoms for the disease until he was an adult). Although I give credit to my younger self for trying to figure out how to feed a picky eater nutritional foods, I would never recommend adding wheat germ to beef up nutrition now as there are so many people with wheat allergies. Luckily, we have at our disposal all sorts of nutrient-rich foods that weren’t available 30 years ago. And one of my favorites is hemp hearts. Hemp hearts are a super food—high in protein, omega 3s, B vitamins, and minerals. A 30-gram serving (3 tablespoons), provides 10% of your daily protein, 20% iron, and 10 grams of omega 3 and 6 (essential fats). And they are delicious. They have a nutty flavor reminiscent of a cross between pine nuts and wheat germ. Hemp hearts aren’t cheap, but Costco now carries a 28 oz package for $14 (which is about the same price as most nuts). Since a serving size is small (3 tablespoons), one package lasts a long time. There are many health benefits reported by people who eat hemp hearts including weight loss, increased and sustained energy, rapid recovery from disease of injury, lowered cholesterol and blood pressure, reduced inflammation, improvement in circulation and immune system as well as natural sugar control. 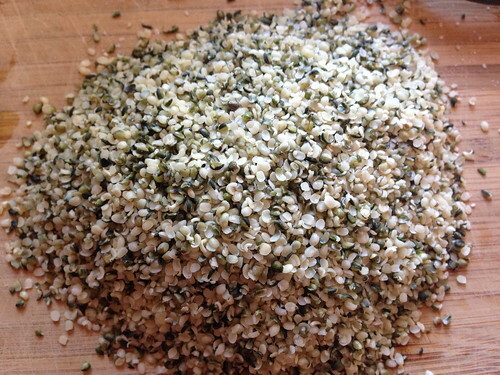 You can add hemp hearts to salads, pasta dishes, cereal, or yogurt. You can blend them into smoothies and soups or put them into cookies, muffins or pancakes. You can bread things with them or just eat them plain out of the package. And if you have a picky eater in the house, such as my David was, you can mix them into cottage cheese or peanut butter, or any other favorite food, to increase nutrition. Basically, the sky is the limit. Here are some ideas to get you started. 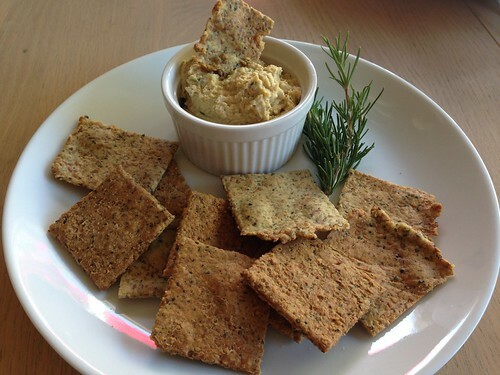 I have wanted to make gluten free crackers for the longest time. 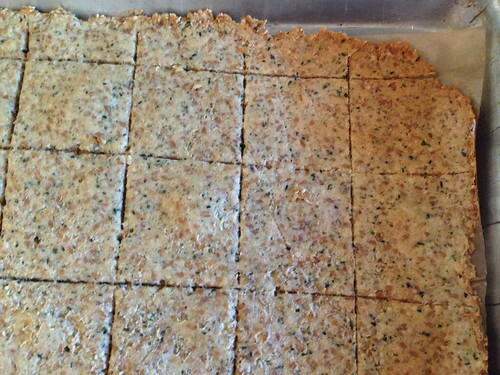 A year ago, my mother gave me her copy of Organic Gardening magazine, which had a recipe for Flaxseed and Herb crackers. I have modified the recipe and added hemp hearts. 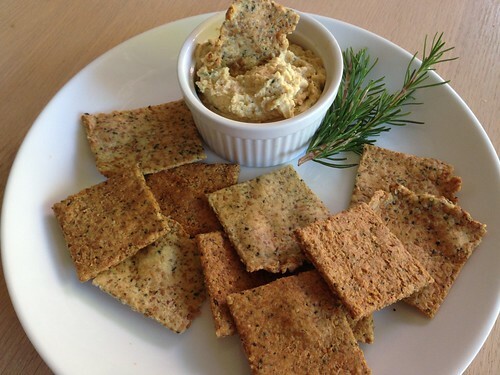 These are the most scrumptious crackers ever and you would never know they are gluten free. Plus they are SUPER nutritious! 1.Preheat oven to 350°. 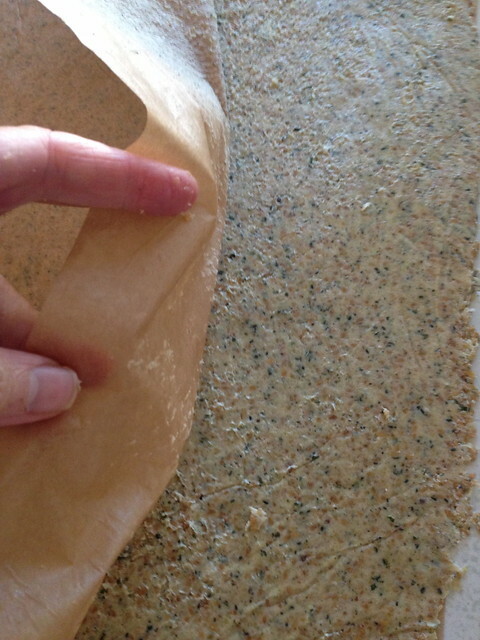 Cut 2 pieces of unbleached parchment paper to fit neatly into an 18-by-13-inch rimmed baking sheet. Set aside. 2.Place the flaxseed in the bowl of a food processor with the water. Let sit for 15 minutes, or until liquid is absorbed and the mixture is gelatinous. 3. 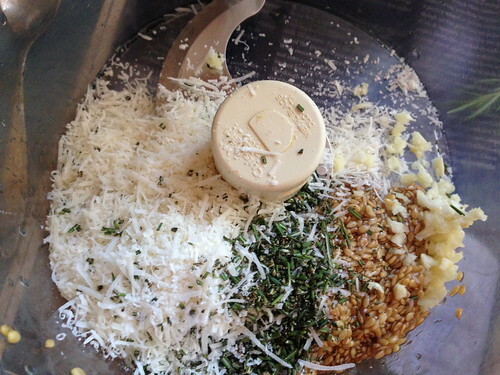 Add the cheese, oil, rosemary, garlic, salt, and pepper and process until the mixture becomes mostly smooth with some flax seeds remaining, about 30 seconds, stopping a few times to scrape down the sides of the bowl. 4. Add the garbanzo flour, hemp hearts, and ground almonds or almond meal and pulse until the mixture is well blended and begins to come together into a moist ball, 20 pulses. 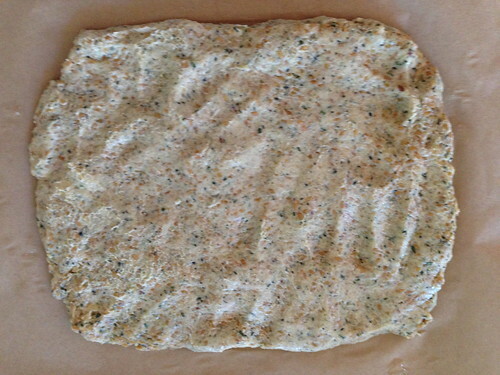 Turn the dough out onto one of the pieces of parchment paper and with moistened fingers, pat the dough out into a rectangle that is roughly 8 inches long by 6 inches wide. Cover the dough with the second piece of parchment paper and roll it out between the sheets until the dough reaches all the edges. The dough will be about 1/16 inch thick. It’s ok if the rectangle does not have perfect edges or if a bit of dough squishes out the side of the paper. 5. Remove the top layer of paper and carefully scrape away any dough that spilled over the edges. 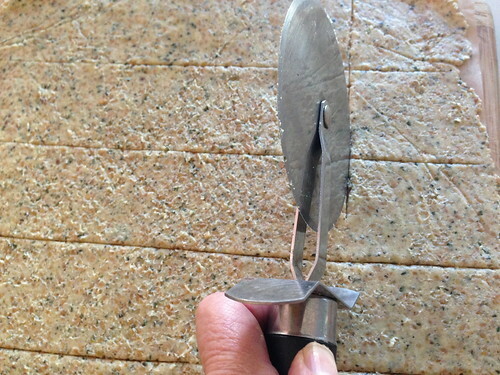 Using a pastry wheel or pizza cutter, cut the dough into 2 inch squares. Transfer the paper with the dough on it to the baking pan and bake for 8 minutes. Turn pan. Bake for 8 more minutes. Transfer the firm crackers around the edges to a wire cooling rack. Return to oven and bake until the crackers begin to brown and are firm to the touch, 8 to 10 minutes more. Watch carefully so they don’t get too brown (I let mine get a little too brown but they still were yummy). Cool on wire rack. When all the way cool, store in airtight container for up to 1 week. 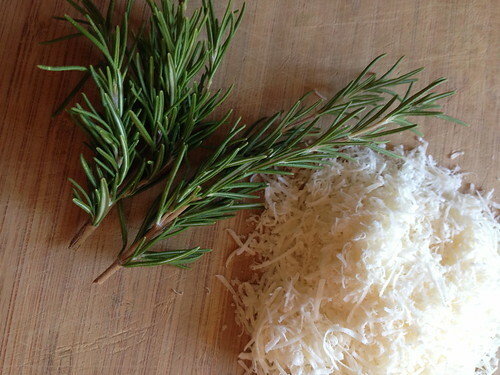 Serve with your favorite dip or artisan cheese.